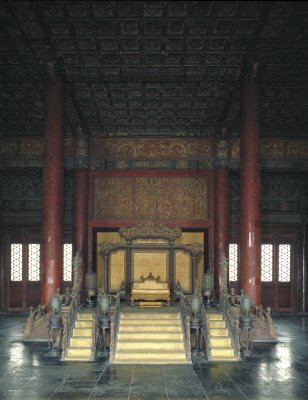 The third of the Three Ritual Halls, the Hall of Preserving Harmony (Baohe dian) was completed in the early fifteenth century. 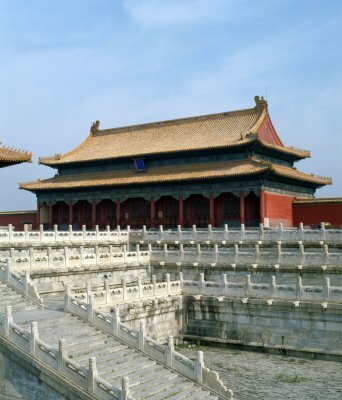 It was first called Hall of Scrupulous Behavior (Jinshen dian), was changed to Establishing Supremacy (Jianji dian), and was finally named Hall of Preserving Harmony— with the implication of preserving the unity of one's inner spirit, and sharing harmony under heaven. 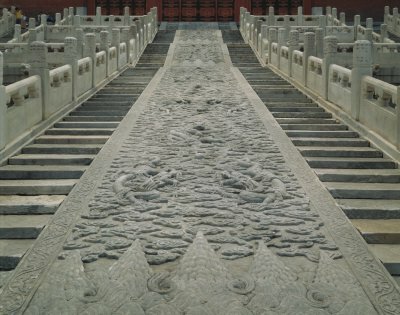 In Ming dynasty (1368-1644) times, before attending a grand ritual or ceremony, the emperor left from his residence in the Palace of Heavenly Purity (Qianqing gong) in the Inner Court and was brought to the Hall of Preserving Harmony to change into ceremonial robes.